BLACK, JOHN, recorder of Rupert’s Land; b. 11 March 1817 at Edinburgh or St Andrews, county of Fife, Scotland; d. 3 Feb. 1879 at St Andrews, Scotland. Little is known of John Black’s childhood and youth; reserved by nature, he was silent about his early years, even with close friends. After completing his elementary education, he was employed for seven years in the office of an Edinburgh solicitor. He came to Red River in 1839, having been appointed clerk to the General Quarterly Court of Assiniboia. His duties as deputy to Adam Thom*, the recorder of Rupert’s Land, were soon superseded by his active employment in the offices of the Hudson’s Bay Company. In 1845 he married Margaret, daughter of Alexander Christie, governor of Assiniboia, and three years later the company appointed him chief trader. According to Governor Eden Colvile*, one of Christie’s successors, Black was not too popular, except with the religious authorities – Black was almost a minister himself, the governor commented – and he was not a remarkable businessman either. All the same, in 1850 Black was appointed chief accountant of the Upper Red River district, with residence at Fort Garry (Winnipeg). The appointment did not prevent the governor from charging him with being as stupid as an owl. Black was given to arrogance, and people were put off by it. 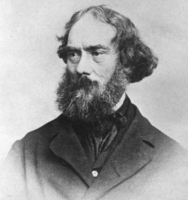 Colvile, however, gradually changed his opinion, and noted that Black was becoming less unpopular; nevertheless, having appointed him unwillingly, he continued to seek a replacement for him. On 21 July 1852 Black lost his post as chief accountant. The following winter Black and his family visited Scotland. They came back to Red River in the spring. 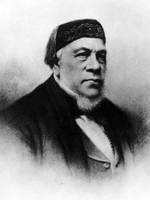 In 1854, after his wife’s death, Black decided to leave the company. He returned to Scotland, stayed there for some time, then went to Australia, where he made a career for himself in the public service. 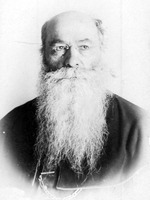 He went back to England, and in the spring of 1861 was appointed president of the General Quarterly Court of Assiniboia. He was assuming what had previously been the office of recorder: its title had been changed solely to facilitate the appointment of Black, who had never been a member of the bar although he possessed a certain legal training. On 4 June 1862 the new president was introduced to the Council of Assiniboia. 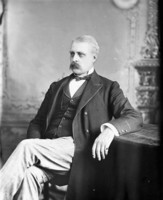 During the eight years that he presided over the tribunal at Assiniboia, Black proved to be a conscientious judge, and rarely received anything but praise. He was well prepared for his role, and had a thorough knowledge of the people of Red River and their habits. He displayed untiring patience as he listened to illiterate plaintiffs. He was upright and understanding, but was none the less uncompromising. To the consequences of his decisions, and to the ways in which they were applied, he gave scant heed. Yet at a period when the company’s authority was declining, it was desirable that the judge, an employee of the company, should take the new circumstances into account, for the company could no longer enforce unpopular sentences. In the summer of 1868 Black decided to resign; the company, foreseeing the end of its reign at Red River, asked Black to remain in office for another year. It was not until March 1870 that he left the colony. Meanwhile, Black witnessed the Métis’ sharp opposition to the plan to annex the west to Canada. He even played a part in the affair. 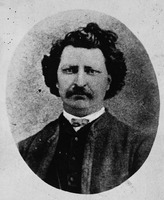 As acting governor – William Mactavish* was seriously ill at the time – Black presided over the Council of Assiniboia on 23 Oct. 1869, when Louis Riel* appeared before it to explain why a group of Métis had prevented William McDougall*, the lieutenant governor appointed by the Canadian government, from entering Red River. The letters relating to this matter that were signed by Mactavish were drafted by Black. They clearly reflected the latter’s moderate attitude. Indifferent to the events taking place, Black continued to live several miles from the seat of government and the centre of affairs. 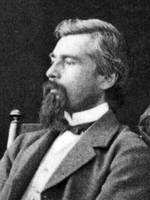 He was, however, secretary of the public meeting held on 19 Jan. 1870 to which Donald Alexander Smith*, the Canadian government’s representative, reported. From 25 January to 10 February of the same year he also presided over the convention during which a list of rights of the people of Rupert’s Land was drawn up. Black represented the parish of St Andrews, and said little throughout the whole convention except on 4 and 5 February, when, in a tone that showed his slight respect for the assembly and its deliberations, he spoke at considerable length against the immediate creation of a province. He saw the necessity of replacing the company’s paternalistic government by a representative one, but he advocated for the first years of the annexation an appointed and not an elected council. On 11 February the provisional government set up by the convention appointed Black one of three delegates (the two others were Alfred Henry Scott and Noël-Joseph Ritchot*) to the Canadian government at Ottawa; he was to be the spokesman for the English-speaking element. He accepted at the request of Bishop Alexandre-Antonin Taché*. The three delegates took with them the final version of the list of rights for the people of Rupert’s Land. Black arrived in the capital after the other two, and was lodged in the Russell House; in the next room was D. A. Smith, to whom the Canadian government had entrusted the task of winning Black over. It was to no avail, since throughout the discussions Black maintained the same opinion as at the convention, and accepted only tacitly the positions taken and the conditions laid down by the Canadian representatives. On 27 April 1870 discussion was begun on the question of lands, and Black agreed that Canada should keep control; to him the notion that the settlers of Red River should claim them as theirs was absurd. Subsequently, he considered that the compensatory offer of 150,000 acres made by the Canadian representatives to the Métis was reasonable, whereas the other two members of the delegation aimed at getting three million, and ultimately received a million and a half. When the talks were finished, Black contemplated returning immediately to London. He was offered the position of lieutenant governor or of recorder of Manitoba, but he declined, and in the summer of 1870 took up residence in Scotland for good. 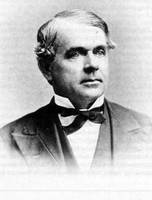 A conscientious judge, Black had been “a man of very great integrity, in whom the entire settlement had absolute confidence.” However, according to D. A. Smith, his lack of firmness, courage, and boldness during the events of 1869–70 undermined the efforts of those who were endeavouring to reduce the issue involving the Métis to less significant proportions. Archives paroissiales de Saint-Norbert (Man. ), Journal tenu par le Rév. Mons. N.-J. Ritchot, ptre. HBC Arch. A.6/27, 31 March 1848; A.6/37, 17 April 1862; A.12/45, 11 Aug., 11 Nov. 1868; 23, 24 March 1869. Correspondence relative to the recent disturbances in the Red River Settlement (London, 1870). Hargrave, Red River. HBRS, XVI (Rich and Johnson), 241, 244, 245, 248; XIX (Rich, Johnson, and Morton), 154, 192, 195, 197, 200, 203, 216. [Mactavish], Letters of Letitia Hargrave (MacLeod), 208. Manitoba; birth of a province (Morton), 9–11, 21–23, 30, 34, 42–50, 77, 140–43, 209. F. E. Bartlett, “William Mactavish, the last governor of Assiniboia,” unpublished ma thesis, University of Manitoba, 1964. Roy St George Stubbs, Four recorders of Rupert’s Land; a brief survey of the Hudson’s Bay Company courts of Rupert’s Land (Winnipeg, 1967), 135–85. A.-H. de Trémaudan, Histoire de la nation métisse dans l’Ouest canadien ([Montréal, 1935]), 221. Lionel Dorge, “BLACK, JOHN (1817-79),” in Dictionary of Canadian Biography, vol. 10, University of Toronto/Université Laval, 2003–, accessed April 24, 2019, http://www.biographi.ca/en/bio/black_john_1817_79_10E.html.